Coverage. Deco M5 uses the latest technology to create a wireless mesh to paint your home in Wi-Fi. Mesh technology relies on several units working together to replace your router and create seamless Wi-Fi in every room. Each Deco mesh router can work independently, within the network, to cover up to 1,500 sq. ft. and three units working together deliver up to 4,500 sq. ft. of fast Wi-Fi. For even more coverage, you can use up to 9 Deco units on a single network. Deco includes three separate features in one device seamless coverage, antivirus and parental controls. Not only do you get strong Wi-Fi in every room of your home, you also get the most secure whole-home Wi-Fi with HomeCare protecting every device. Every device that uses Wi-Fi is protected by Deco. That includes things that don’t normally have protection from cyber threats, like Wi-Fi cameras, smart locks and game consoles. It even protects devices that your friends use at your home. Whether you want to block websites, set time limits, see which sites your kids are using or pause the internet, you can with Deco. And you can do it all from the app. 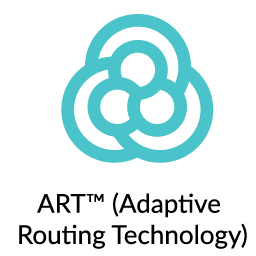 Deco uses ART (Adaptive Routing Technology) to deliver the fastest Wi-Fi possible to each device. As more devices connect to your network, Deco balances the demand by finding the best path to send information across your home. With Deco and ART working together, you're free to move from room to room as you stream, game, download and browse all on a seamless Wi-Fi connection. Choose which devices or activities you want Deco to prioritize with Quality of Service (QoS). In just a few taps, you can make sure your laptop or streaming movie is first in line for Wi-Fi or Ethernet. TP-Link Deco M5 Whole Home Wi-Fi System is rated 3.0 out of 5 by 1. Rated 3 out of 5 by Yer man from Good, not perfect Bought this because our house is a bungalow with an odd layout. The router is on one side and internet is required (for TV streaming and running my business) on the other side of the house. Regarding our usage, we are not often uploading / downloading massive files, only occasionally. We use Netflix, general web browsing, email etc., and also have a Sonos music system for music streaming. The Deco m5 does give us Internet throughout the house (2100sq/ft), where a WiFi extender could not, but it can be slow at times, sometimes no connection is available, music stops playing, YouTube vids fail to load, web pages, won't load etc etc... All the usual annoying hallmarks of a poor connection. Connection check using the app will show excellent connection, yet sometimes a basic text based Web page won't load. Often I will knock off WiFi on my phone and just use 4G instead which a) actually works and b) feels faster. As an aside, this is the second Deco m5 I have had; the first did not work at all straight out of the box, and was returned for a new one. In fairness to the Deco, the system does work and I would be worse off without it. So I'm keeping it for now, but will likely look to replace it with something more robust in time (probably involving running some external cables and using a mixed bag of wired and wireless to create a mesh that is reliable). Perhaps the addition of another m5 node would yield results but I am reluctant to spend more money on this product. In summary, yes it will give you better WiFi coverage if you need that, but I never feel I can rely on it to work well ALL the time. Sometimes it's great, other times it's OK, other times it's truly awful. Certainly, I would doubt the claims of coverage over 4500sq/ft. My place is less than half that size, and while I understand that an unusual house layout all on one floor, may change things, I'm still not convinced about the claim of 4500sq/ft. 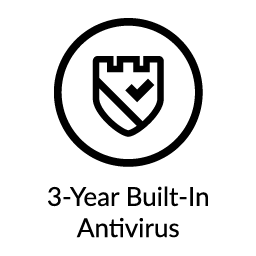 There are some nice features (virus protection, user accounts which can be muted - good for kids if you need to limit their screen time, guest WiFi log ins etc), and the system was very easy to set up, but I can only award it 3 stars at best. It has improved the reach of my WiFi without doubt, but would need to work more reliably to garner a better review. Good, not perfect.